Nancy has told you about one of her favorite winery excursions in her Grapevine column and that inspired me to tell you about a trek that I encourage you to take as well. In this short piece I will hit on a few of our favorite wineries and stops to make as you drive through northern Fauquier County and into neighboring Rappahannock county. The journey is straightforward. You can either take Interstate 6 into Fauquier County and end up in Sperryville or drive from Warrenton down Route 211 and begin the journey in Sperryville. On this particular trip we will do the later because of the inns and B&B’s where you might want to stay at the end of a long day. In visiting these wineries use whatever GPS app that you have and try to use the back roads to get from one winery to the other and enjoy the road less traveled. 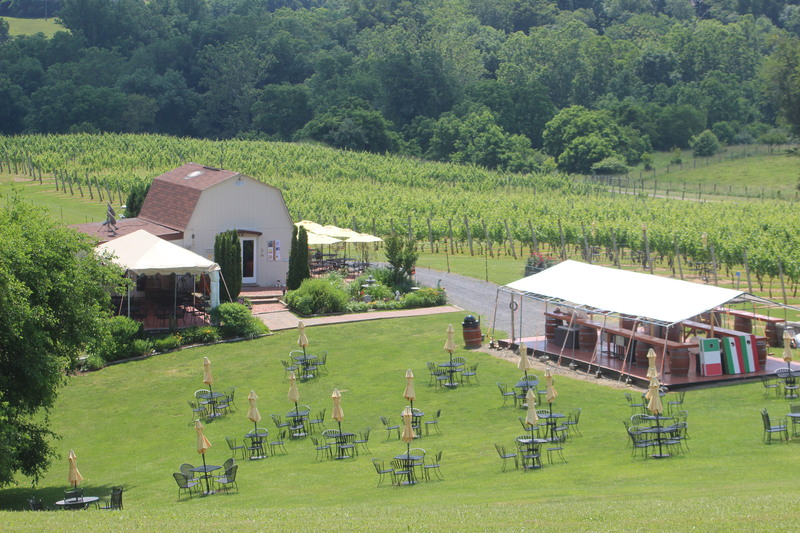 The first stop on our trip will be right off of route 66 near Delaplane…Barrel Oak Winery. 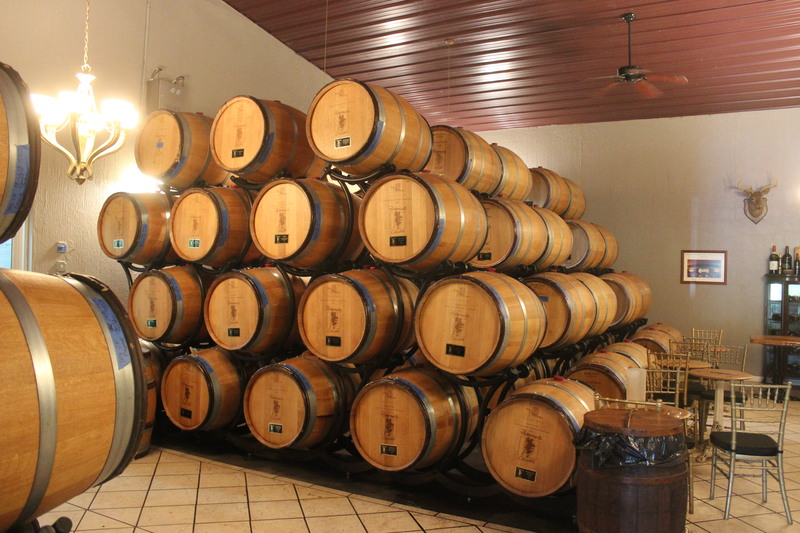 This winery is one of Virginia’s largest producers with over 11,000 cases a year. The views of the valley are great and if beer is your pleasure they have it here at the Barrel Oak Farm Taphouse. Our next stop will be Three Fox Vineyard. You will usually find owners John and Holly Todhunter on the property. The winery is set halfway up a small mountain with terrific views from the top of the mountain down to Cedar Creek meandering by the entrance. Check out their ad in this issue for special events in October. Across I–66 and up the hill is Naked Mountain Winery and Vineyard, home to one of Virginia’s best Chardonnays. Owner Randy Morgan is making a capital investment in a new crush pad, barrel room and expanding the tasting room. Excuse their dust but enjoy the wines and view. Going back under I-66 you will pick up Leeds Manor road and head for Philip Carter Winery. In 1763 the Carter family was successfully growing European wines at their estate. This is the first recorded history of successful grape production in Virginia with European vines. Take a tour of the vineyard and enjoy some of their award winning wines. Head back to route 55 and turn left to Fox Meadow Winery. Turning right on Freezeland Road you will begin the climb to Fox Meadow. The winery is located on what once was Feezeland Orchard and the mountain views are spectacular, particularly on a clear day. To end this excursion you need to head back up Route 211 toward Warrenton. Our destination will be Pearmund Cellars. Once you get to Warrenton refer to your GPS device to locate the winery. There is a sign on Route 29 leaving Warrenton that can help direct you. Chris Pearmund has been a leader in the Virginia wine industry and has just opened Effingham Winery in Nokesville, Virginia. Including the popular Vint Hill Craft Winery located in a hundred year old barn that was literally a “nest of spies” during the Cold War, Effingham will be his third winery. Take some time to enjoy some of Virginia’s vintages as well as the beauty that the season offers in the Blue Ridge.